Members of the Appalachian Beekeeping Collective inspect one of their apiaries. The collective teaches displaced coal miners in West Virginia how to keep bees as a way to supplement their income. But mining jobs started disappearing, declining from 132,000 in 1990 to 53,000 in 2018, devastating the area's economy. In a state that now has the lowest labor-force participation rate in the nation, the long-term decline of coal mining has left West Virginia residents without new options to make a living. Scyphers was fortunate to find a construction job, but it paid two-thirds less than what he earned underground. He often took odd jobs to make ends meet. 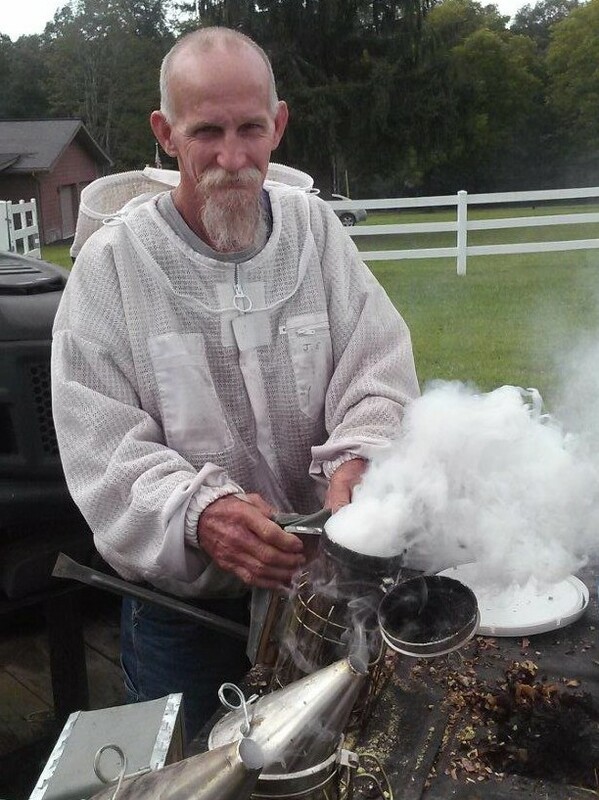 One of those odd jobs included building hives and tending bees for the Appalachian Beekeeping Collective. "I wish this group had been here 30 years ago," he says. "Our region needs it." Appalachian Headwaters operates the Appalachian Beekeeping Collective. The nonprofit was formed in 2016 to invest a $7.5 million settlement from a lawsuit against coal mine operator Alpha Natural Resources for violations of the Clean Water Act. The money has been used to fund environmental restoration projects and to develop sustainable economic opportunities in the once-thriving coal-mining communities of West Virginia. The collective offers beekeeping training to displaced coal miners and low-income residents of mining communities throughout the state, with the goal of helping them find new job opportunities and generate supplemental income. "It wasn't just the miners that lost their livelihoods when mining jobs disappeared; other industries started to wilt, too, and entire communities were affected," explains Cindy Bee, a master beekeeper with Appalachian Headwaters. "We're doing something that can boost the town up." To date, the nonprofit, based in the small town of Hinton, has trained 35 beekeepers (with an estimated 50 more signed up for classes that begin in a few weeks) and operates in 17 counties throughout the state. Those who complete the free Introduction to Beekeeping classes receive equipment and bees free or at a reduced cost and have access to ongoing training and mentorship. Partners maintain between two and 20 hives. James Scyphers, who spent almost two decades mining coal in West Virginia, says miners have a lot to gain from the program. "Beekeeping is hands-on work, like mining, and requires on-the-job training. You need a good work ethic for both." Bee says 2018 was the first season with "boots on the ground," when beekeepers were maintaining their own hives. Beekeepers must wait a full year to collect honey from their hives; the first honey harvest will happen this spring. Appalachian Beekeeping Collective will collect, bottle and sell the honey and pay beekeepers market rate for their harvest. A strong beehive can produce between 60 and 100 pounds of honey per season, Bee says. At an average retail price of $7.32 per pound in 2018, beekeepers could earn an estimated $732 in supplemental income per hive per season. With multiple hives, that can add up quickly: Twenty hives could mean nearly $15,000 per season. There are also opportunities to produce candles, lip balm and other wax products with additional training offered through the organization. In a region where jobs are scarce and more than 28 percent of residents live in poverty, opportunities for additional income are welcome. And beekeeping does leave plenty of time for other work. The supplemental income would be "life changing" for Carie Ortman. The Alderson, W.Va., resident maintained 18 hives last season with the help of her mentors at the Appalachian Beekeeping Collective. Although disease and winter losses, common among beekeepers, have forced her to start over each spring (she started keeping bees in 2016 as a hobby), Ortman remains optimistic. "Now that I know about all of the possibilities for making money from my hives, I'm all in," she says. "I need this extra income, and I'm going to be big time with this." While the training is open to all West Virginia residents who are at or below the federal poverty rate, Scyphers believes former coal miners have the most to gain. "The older folks want to get back to work, but mining is never going to be like it was in the '60s and '70s, and there is nothing to fall back on, no other big industries here, so all of these folks need retraining," he says. 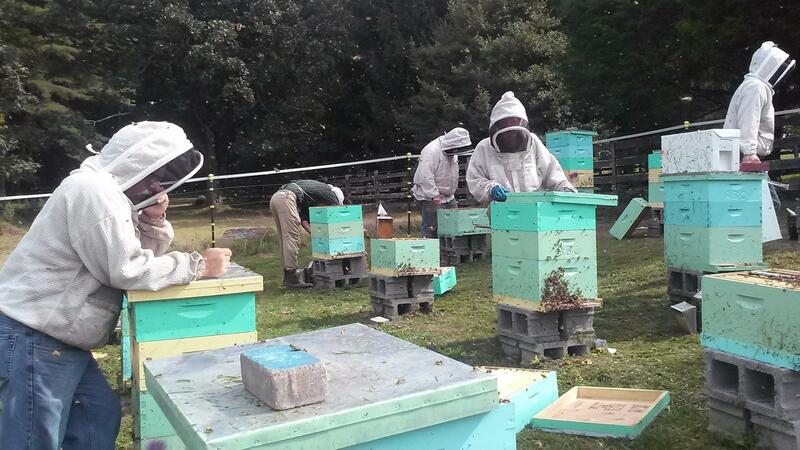 "Beekeeping is hands-on work, like mining, and requires on-the-job training. You need a good work ethic for both." "Most of the coal miners are hardworking people," Scyphers adds. "With what Appalachian Beekeeping Collective is doing, teaching us how to make a profit from beekeeping, I think we can all make a good go of it and get back to work."